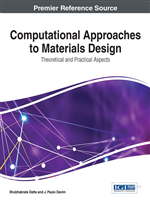 This chapter is aimed at readers interested in the topic of informatics-based approaches for accelerated materials discovery, but who are unfamiliar with the nuances of the underlying principles and various types of powerful mathematical tools that are involved in formulating structure–property relationships. In an attempt to simplify the workflow of materials informatics, we decompose the paradigm into several core subtasks: hypothesis generation, database construction, data pre-processing, mathematical modeling, model validation, and finally hypothesis testing. We discuss each task and provide illustrative case studies, which apply these methods to various functional ceramic materials. Advancements in materials synthesis, processing, characterization, theory, and computation have significantly changed the way in which we generate, share, and analyze data in materials science. Modern day combinatorial experiments enable routine screening of large areas of composition space in a high-throughput fashion generating large volumes of data in an accelerated manner (Koinuma & Takeuchi, 2004; Potyrailo et al. 2011). In the arena of computational materials research, the last two decades have also seen tremendous progress in high-performance and high-throughput ab initio quantum mechanical-based calculations, enabled by ever increasing computational power at lower costs and improvements in parallel and optimization algorithms. The culmination of these efforts is a new virtual platform for the discovery, design, and development of functional materials and devices (Curtarolo et al. 2012; Jain et al. 2013; Saal et al. 2013). They are used in more than 10,000 publications annually, providing a balance between accuracy and efficiency, solving the N-electron Schrodinger equations primarily via the density-functional theory (DFT) formalism (Hohenberg & Kohn, 1964; Kohn & Sham, 1965). They have an outstanding track record of enabling theorists to predict properties of materials that are subsequently validated experimentally (Parr & Wang, 1995; Ceder, 1998; Rondinelli et al. 2008 & 2012; Mannhart & Scholm, 2010; Setyawan & Curtorolo, 2012; Olson, 2013). Aided by the advancements in various levels of materials theory, including methods based on Green’s functions (GW approach, Hedin, 1965) and dynamical mean field theory (DMFT, Georges et al. 1996; Kotliar et al. 2006) for excited state and correlated electron materials problems, improved exchange-correlation functionals, user-friendly computational codes [such as VASP (Kresse & Furthmuller, 1996; Kresse & Joubert, 1999) and Quantum ESPRESSO (Gianozzi et al. 2009) to name a few], and the growing infrastructure of massive supercomputing user-facilities and cloud computing, high-throughput and accurate ab initio calculations are generating volumes of data at an unprecedented level. For instance, digital databases such as “The Materials Project” (Jain et al. 2013), “Aflowlib.org” (Curtorolo et al. 2012) and “OQMD.org” (Saal et al. 2013) store ab initio calculations performed on more than 38,151, 17,200 and 284,000 entries, respectively, and counting. Despite the encouraging progress, we have only scratched the surface when it comes to navigating the vast chemical space of inorganic compounds. There is a massive amount of compounds remaining to be explored beyond those reported in experimental structure databases. Multicomponent inorganic systems, which are the focus of this chapter, form the crux of modern materials science – inorganic compounds with more than two cationic sites appear to be the minimal requirement (Cheetham et al. 1994) for crystalline materials with functional electronic, magnetic, and optical properties. The flexibility of atomic structures allow fine tuning of these properties by altering, (i) interatomic distances (by using cations with carefully selected ionic radii), (ii) degree of covalency (by judicious choice of elements) and (iii) active frontier orbitals (by varying the oxidation states of the cations and anions contributing states to the low energy electronic structure in a controlled manner).